Farrell Cockrum "Horse" 40" x 30"
In September, American Trails will be highlighting the work of Blackfoot artist Farrell Cockrum. Farrell’s great passion in life is informing the world of his rich, Native American heritage through his contemporary works of art. 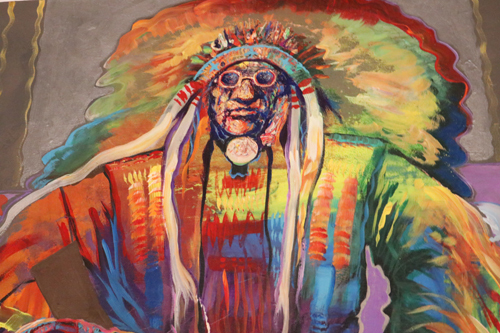 Steeped in the traditions and culture of his native ancestors, Farrell captures the spirit of the Blackfeet Nation in each of his unique and colorful paintings. Vivid color, rich texture and striking subject matter are core ingredients in a Farrell Cockrum painting. 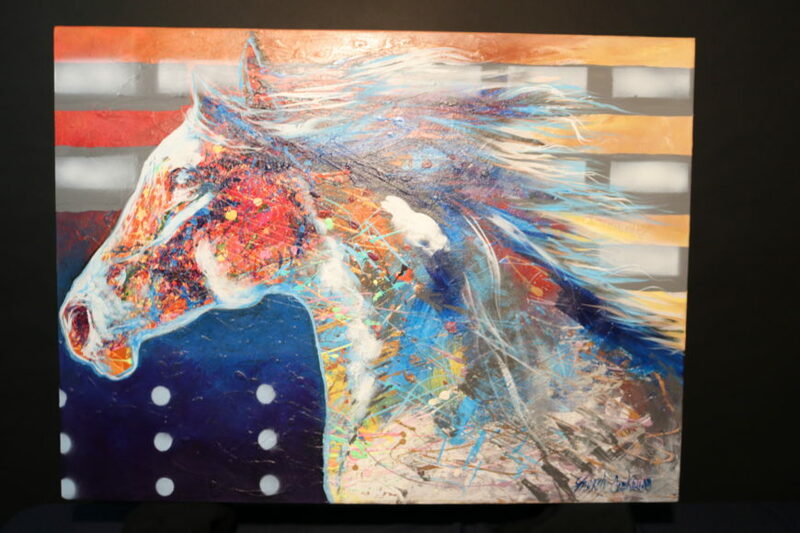 Farrell’s captivating subjects include native figures and honored wildlife; such as the majestic eagle, the American bison and the strong, silent western bred horse. Add a touch of abstract expressionism and streaming colors of a Blackfoot Chief and you are entering Farrell’s world. Farrell studied at art at the Institute of American Indian Art in Santa Fe in the early 1980’s. He is very well known throughout the southwest and collected across the world. He lives and paints in Albuquerque.